Firewall blocks local connection on port 7080 and 7081, so Nginx is unable to connect to Apache. 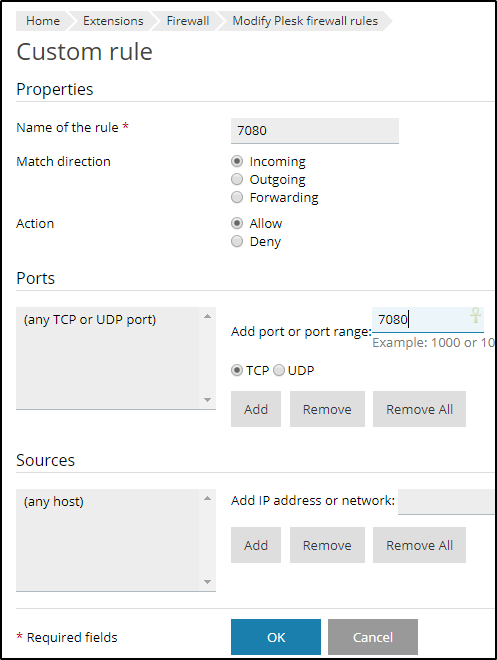 Go to Plesk > Tools & Settings > Firewall > Modify Plesk Firewall Rules >Add Custom Rule and allow 7080/7081 ports for all internal IP addresses for Incoming/Outgoing. Hi, @iamkingsleyf, could you please clarify the issue in more details?